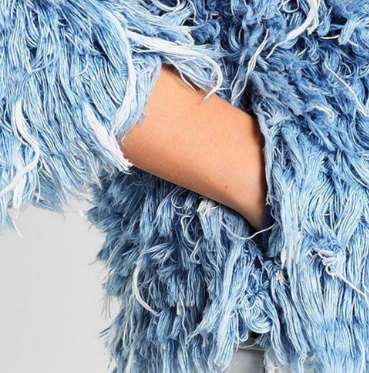 Is this even faux fur ? Never mind : it does look great and you can't deny the "fur effect". French website BIBA had the brilliant idea to bring light on two creative designers looking for different ideas to create fur or equivalent. Check-out Tiziano Guardini & Ksenia Shnaider's sustainable work here.